Featured amenities include complimentary wired Internet access, a business center, and express check-in. Planning an event in LaGrange? This hotel has facilities measuring 375 square feet (35 square meters), including a meeting room. Free self parking is available onsite. Make yourself at home in one of the 74 air-conditioned rooms featuring refrigerators and flat-screen televisions. Complimentary wired and wireless Internet access keeps you connected, and cable programming provides entertainment. Private bathrooms with shower/tub combinations feature rainfall showerheads and designer toiletries. Conveniences include desks and microwaves, and housekeeping is provided daily. With a stay at Holiday Inn Express & Suites Lagrange I-85 in LaGrange, you'll be within a 10-minute drive of LaGrange Art Museum and Troup County Archives and Legacy Museum on Main. This hotel is 4 mi (6.4 km) from Bellevue Mansion and 4 mi (6.5 km) from LaGrange College. Located in LaGrange, Comfort Inn & Suites La Grange is on the Strip, within a 10-minute drive of LaGrange Art Museum and Troup County Archives and Legacy Museum on Main. This hotel is 3.3 mi (5.4 km) from Wild Leap Brew Co. and 3.8 mi (6.1 km) from Bellevue Mansion. 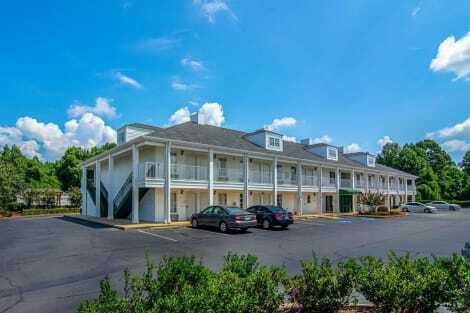 Located in LaGrange, Quality Inn LaGrange is in a shopping district, within a 10-minute drive of LaGrange Art Museum and Troup County Archives and Legacy Museum on Main. This motel is 3.4 mi (5.5 km) from Wild Leap Brew Co. and 3.9 mi (6.2 km) from Bellevue Mansion. Make yourself at home in one of the 80 guestrooms featuring refrigerators and flat-screen televisions. Complimentary wireless Internet access is available to keep you connected. Conveniences include microwaves and coffee/tea makers.